Editor’s note: This story has been updated to include additional information regarding certain school districts which are not included in the state’s data on vaccine exemption rates. In Travis County, where residents are among the best educated in Texas, efforts by national medical groups to debunk concerns about vaccines appear to be meeting some of the strongest resistance. Parents of school-aged children there are choosing to avoid vaccine requirements at among the highest rates in the state, according to state data. The county is home to Austin Waldorf, the private school where nearly half of the roughly 380 students enrolled opted out of vaccines and has the highest exemption rate in the state. Austin ISD — the public school district with the highest rate among the state's 10 largest by enrollment — is also there. Neither Austin Waldorf nor Austin ISD returned calls requesting comment. Two other school districts in Travis County — Eanes and Lake Travis, at 3.6 and 3.27 percent respectively — have exemption rates that are almost quadruple the statewide percentage. While Travis County may have more parents worried about the impact of vaccines on their kids, state data suggests the phenomenon has reached every corner of the state. The number of Texas students with non-medical exemptions to school immunization laws has soared statewide in the last decade. Almost 45,000 — about 0.84 percent of the state's overall school-age population — had them in the 2015-16 school year, according to Texas Department of State Health Services data released July 6. That figure, which includes students at both public and accredited private schools, has climbed from just under 3,000 — or 0.09 percent — in 2004. State law requires that children at all public and private schools have 10 different immunizations, including for tetanus, measles and pertussis, the bacterial disease known as whooping cough. Generally, children must get those vaccines by the time they are in kindergarten, though they are required to receive others, such as for hepatitis B, in later grades. If parents wish to opt out of school immunization requirements, they must file a "conscientious exemption" form with their child's school at the start of the year. Schools report the number of students with exemptions to the Department of State Health Services annually. Overall, private schools and charter schools tend to have higher exemption rates than traditional public schools. Among public schools, the charter Austin Discovery, where nearly one of out three students had exemptions, reported the highest exemption rate. Efforts to reach Austin Discovery officials for comment were unsuccessful. State-level data does not indicate whether students with vaccine exemptions received exemptions from all vaccines or whether their parents have chosen to opt them out of particular injections, though individual school districts do track that information. In the past decade, a growing number of parents have adopted the belief that vaccines have caused harm to their children. The movement was launched by a now-retracted 1998 study linking autism to the routine measles, mumps, and rubella vaccine. The study’s author, Andrew Wakefield, lost his medical license in 2010 and now lives in Austin. He most recently directed the documentary "Vaxxed," which was pulled from the Tribeca Film Festival in March following outcry from the medical community. Despite efforts by medical groups to debunk the "anti-vaxxers," some parents have continued to hold concerns about the long-term impact of vaccinations. Pediatricians have raised alarm over the number of children whose parents opt them out of vaccines — as well as the tendency of those who do not immunize to gather in the same communities. 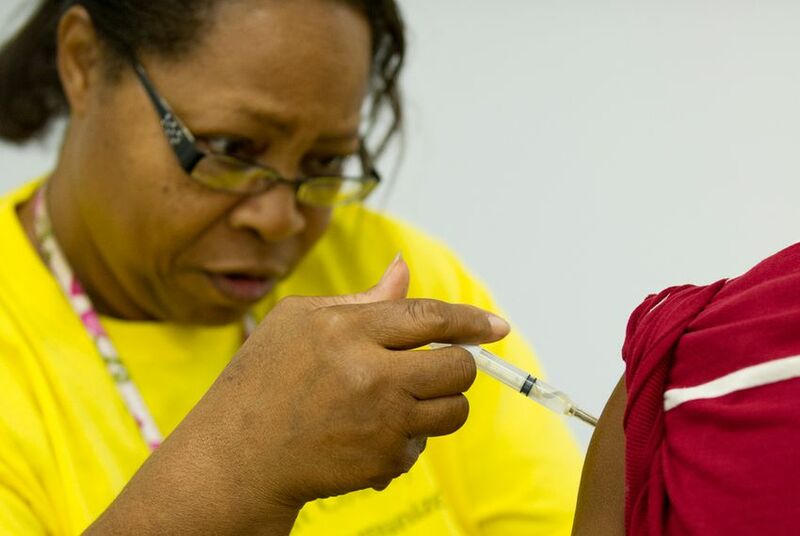 Lacking immunization rates bring a higher risk of otherwise-preventable deadly disease outbreaks and have led to an increased frequency of infectious diseases such as measles. A small but robust group of activists has so far thwarted efforts to re-examine vaccine laws in the state, which, according to the National Conference of State Legislatures, is among 18 that waive immunization requirements for personal beliefs in addition to religious grounds. Though he ultimately prevailed in the Republican primary in March, Villalba said he has no plans to re-file the bill if he is re-elected in November, citing a lack of support among his colleagues.